Last week the D&O Notebook discussed the possible trend toward mootness fees in M&A litigation in Delaware Chancery courts. The post explained that when litigation is resolved with mootness fees the payment to plaintiffs is a relatively low one, but the defendants don’t get a full release. There is an interesting development which Cornerstone Research noted mid-year 2016 in which plaintiffs are now bringing more suits in federal court. Cornerstone believes that the Trulia decision may have influenced this shift. Our data also shows this shift. In 2015 and 2016, M&A cases filed in federal courts were in the 16%-18% range. In 2016 approximately 27% of the cases were filed in federal court – an increase of more than 50%. Whether plaintiffs can successfully litigate in another forum is often dependent on whether a Delaware forum-selection clause is in effect. But where plaintiffs don’t face that hurdle—either because the company in question doesn’t have a Delaware forum-selection clause or the company decides not to assert it—plaintiffs are motivated to litigate in plaintiff-friendly venues outside Delaware. Federal courts, when faced with disclosure-only settlements, haven’t been uniform in their response. The type of class action illustrated by this case – the class action that yields fees for class counsel and nothing for the class – is no better than a racket. It must end. No class action settlement that yields zero benefits for the class should be approved, and a class action that seeks only worthless benefits for the class should be dismissed out of hand. On the other hand, NY courts took a much more pro-plaintiff view in the recently decided Gordon v. Verizon case. Let’s take a closer look at this case. Back in 2013, Verizon purchased a 45% stake in Vodafone, after which shareholders filed a class suit alleging that the Verizon directors had breached their fiduciary duties by over-paying for the stake in Vodafone. In early December of 2013, Verizon filed a definitive proxy containing four valuation-related supplemental disclosures which were negotiated with plaintiffs in an attempt to conclude the case. At the trial court hearing, two shareholders objected to the settlement. With extensive reference to the Delaware Chancery precedent regarding “material” disclosures, the court agreed with the objecting shareholders. On appeal, however, things took a different turn. In early February of this year, the Appellate Division reversed the lower court’s decision and approved the settlement. Importantly, the Court held that New York law would apply and in doing so implicitly rejected the lower court’s reliance on Chancery precedent. Though Verizon was a Delaware corporation, there was no operative forum-selection clause that mandated that Delaware law apply. Moreover, there was a NY choice of law provision in the settlement agreement. The Court specifically inquired as to whether the non-monetary settlement requested was in the best interests of all the members of the class as well as if the settlement was in the best interests of the corporation. By way of answer, the Court found the benefits to the shareholders “minimal” but sufficient, and found that the corporation could avoid the significant expense and fees associated with a trial. The Court remanded the case back down to the lower court to determine appropriate fees, noting that there were numerous NY cases where attorney’s fees were awarded even if the benefit to the shareholder was scant. What does this mean for your company if you are contemplating an M&A transaction? One, given the difference of outcomes one might see on the same facts depending on the forum in which a particular case is heard, it’s worth confirming whether your company has a valid state law choice of forum selection clause in its bylaws. If your company does not, consider it—but of course keep an eye on whether you may be picking an unwanted fight with proxy advisory firms. Having a state law choice of forum provision in your by laws may reduce the likelihood that frivolous merger suits are filed in the first instance. Two, recognize that where litigation is shunted to NY courts, there will likely be a lower bar to clear than in Delaware state courts when it comes to plaintiffs attorneys’ earning a large settlement in the absence of monetary relief to the complaining shareholder plaintiffs. As articulated above, the Colt factors aren’t a significant hurdle, even with the two recently added factors. To the extent that defendants want a full release, however, the news is not all bad here. Finally, know that anticipating the cost of M&A litigation might prove challenging. It used to be the case that a certain (expensive) merger tax was unofficially built into the costs of the transaction. While offensive, at least the amount was fairly predictable. In the new world order, plaintiffs may try to drag out the litigation to satisfy the higher “material” disclosure standard and also to accumulate more billable hours, all of which ultimately costs everyone more money and adds risk to closing. Post-closing litigation is also more likely than it used to be. 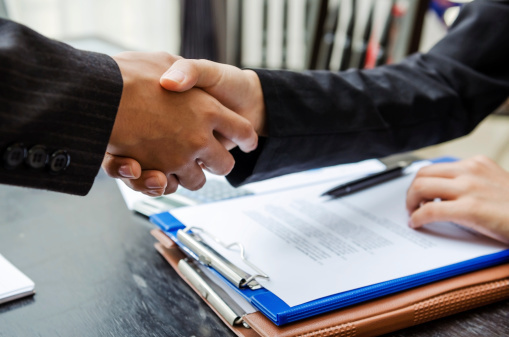 In limited circumstances – if evaluated early enough – it may make some strategic sense to allow your M&A litigation to be brought in NY or other disclosure-only friendly jurisdictions in order to make a quick settlement more likely. How will insurance respond to all this? There should be no change to the normal provision of defense for Ds and Os. What’s critical, as in all cases where the retention might be pierced, is to keep the insurance carrier closely apprised on strategy and settlement. This isn’t the time to have the carrier caught flatfooted as to the direction of litigation and its costs. Optimizing your insurance recovery is much more likely when carriers are kept informed in a timely way. See all articles by Vysali Soundararajan, Esq. Vysali Soundararajan serves as Corporate Counsel at Woodruff Sawyer. 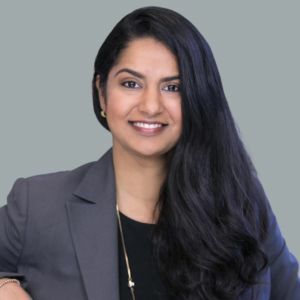 She is a specialist in claims management and advocacy for management liability policies, including Directors & Officers, Employment Practices, Cyber, and Errors & Omissions insurance policies. She advocates on behalf of clients with carriers on all aspects of insurance recovery. She is the author of numerous articles on topics in management liability. Vysali is also an experienced presenter and adjunct faculty on negotiation (RISE Austin) and intellectual property (UT Austin). Vysali was awarded her Masters in Law from the University of California, Berkeley School of Law; her Juris Doctor from the University of Illinois, College of Law; and her Bachelor of Arts from Cornell University. Vysali is a member of both the Texas and California Bar.